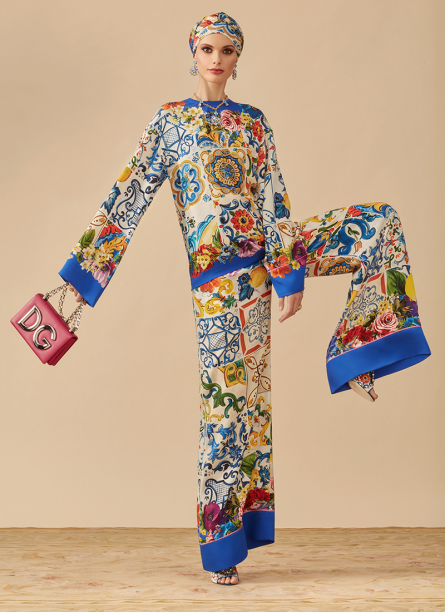 Dolce & Gabbana Abay collection. 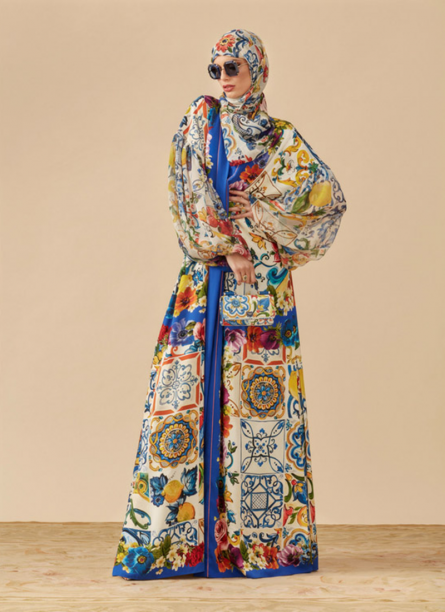 Dolce & Gabbana are set to release their new Pre-Fall 19 abaya collection, which for the first time includes eveningwear. 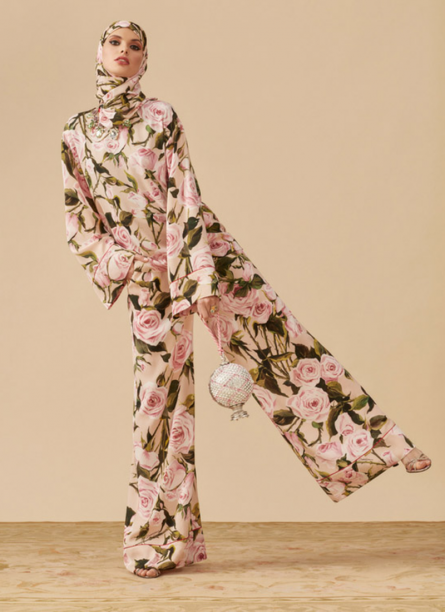 It’s been two years since the design duo released their first line of abayas, and this time round the newest range includes bold prints that mimic the main collection – some styled with identical hijabs – as well as black evening ensembles decorated in signature lace and embellishment. 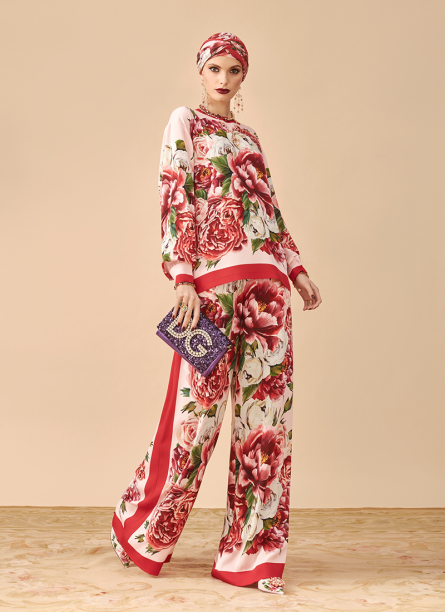 The seasonal print inspired by the show was also translated onto the matching top and trouser sets which would make for a perfect day outfit, while the long black dress with embroidery at the ankle would bring all the wow factor you need for a special occasion. In addition, you can also select from the range of turbans that come in a variety of colours.